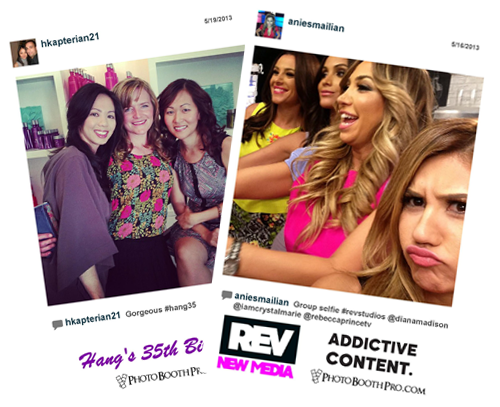 Allows your guests to engage in the social media fun! 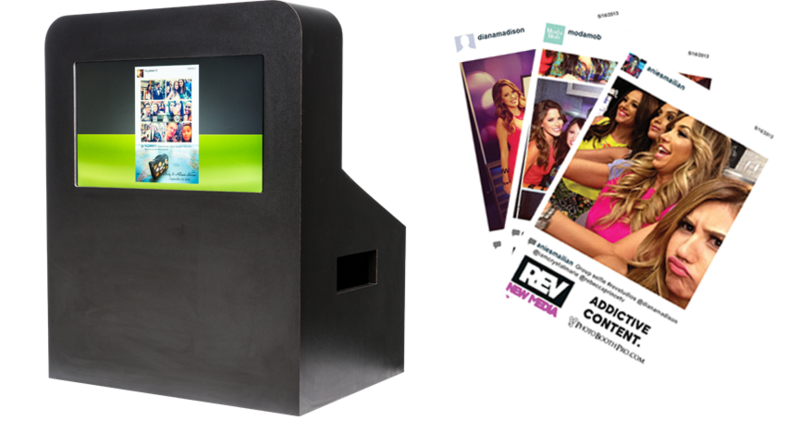 Reserve the station by itself or add it as an upgrade to your photo booth or green screen package! 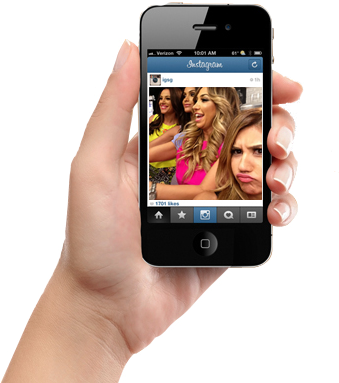 Anyone with a smartphone can upload photos to our system. Instantly print them with custom templates and display them as a slideshow on your monitor or projector! 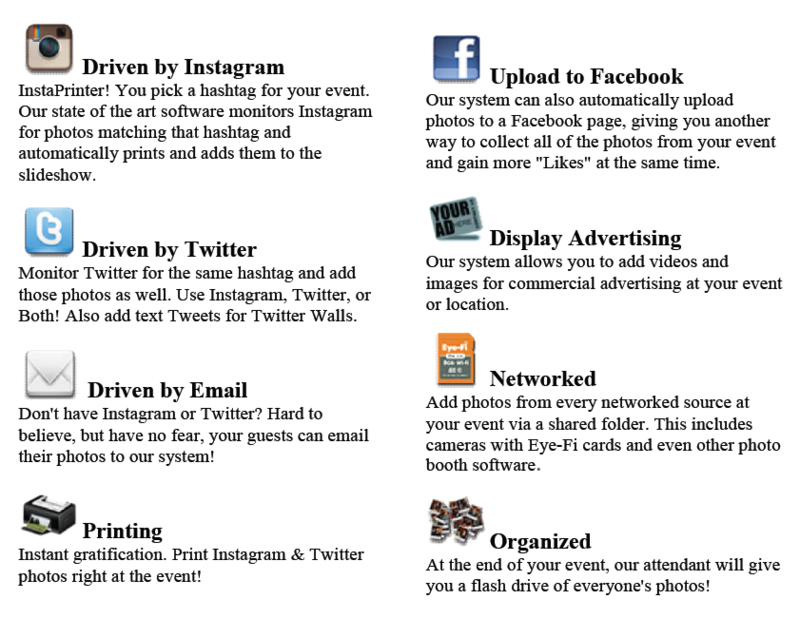 Simply choose a #hashtag for your event. During the event, our technology monitors Instagram and twitter for photos matching the chosen #hashtag and adds them to the branded slideshow monitor or Big Screen Projector, live during the event. All of your guests can participate by taking pictures with their smartphones, tablets and uploading them to Instagram or Twitter with the special event #hashtag. All of your guests can then have the photos printed right at the event. Loaded with Features for Social Mentions and Buzz! PhotoBoothPro will help make your Social event an amazing success! We'll keep your guests entertained and give them a party favor to take home!